We’ve talked (okay, bragged) about it. We’ve shared a few highlights. We ate all of Aldi to do this. But the full guide is finally here. That’s right, you have come to the World’s Most Comprehensive Guide to Aldi Products. This article includes the top ranked Aldi-brand product in each category, but links to a full review of all Aldi-brand products that look like name brands we know and love. We’ll share the good, the bad, and the disgusting. If you’ve been in an Aldi, you know that they make a store brand version of the top-selling grocery brands in the country. So whether you’re wondering if the marshmallows taste like Jet-Puffed, or if the green juice will cover your expensive Suja fix, Brandefy has got you covered. Our app has 400 Aldi product comparisons in it. By comparisons, we mean the Aldi brand versus the name brand it’s trying to dupe. Click the pasta to access the guide! Aldi-brand English muffins are a winner! L’OVEN FRESH is super similar to the name brand, but not 100% because of texture. Switch to save! The store brand is a little denser in texture. Click the chocolate chips to access the guide! These were the crowned jewels of the Aldi-brand baking aisle. Great dupe! We couldn't even tell the difference between these two chocolates. Click the soap to access the guide! This Aldi-Brand Purell is a winter winner. Testers couldn’t tell the difference between the two hand sanitizers. We recommend you switch to this Aldi bacteria buster! Click the popsicle to access the guide! Switch to save! 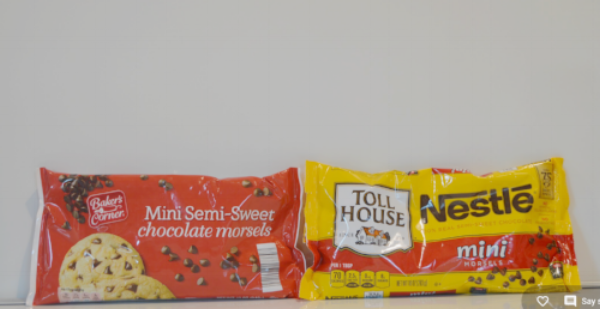 Though the generic does not have a resealable bag, our testers agreed that the generic is quite similar to the original. Watch out though, not all Aldi frozen chicken products are created equal! Click the toilet paper to access the guide! Ziploc had less of a plastic scent and we felt like it was also slightly easier to close. We would like to note that the first Ziploc bag we took out tore immediately when opened. The others were fine. They both hold water securely, and we’d switch to save! Click the cereal to access the guide! Excellent Rice Krispie dupe! The only difference we found was that the Millville cereal was slightly crunchier- it held up better in milk and delivered more snap, crackle, pop, sound. We also tested the cereal in rice crispy treats and they were a success. Click on the cheese to access the guide! Great opportunity to switch to save! Our testers found that the only difference in the products was in the texture, Chobani was a touch thicker. Check the other flavors in the app before you switch to all Aldi dupes of Chobani, because we noted some stark differences! Click on the cookie to access the guide! This is a great opportunity to switch. The packaging may be a little flimsy but Clancy's Wavy Chips held up well with our testers! Click the sauce to access the guide! We thought the generic had a nice balance of vinegar and egg flavor. We could not distinguish the two mayos in a blind taste test. Switch to save! Click the water bottle to access the guide! Save some MOO-LA with this great Friendly Farms dupe! Our testers noticed a slight difference in taste, but had difficulty pinpointing the difference. All of our testers agreed that they would switch to save! Have you tried out Friendly Farms Milk? Comment below! Click the can to access the guide! Even though these didn't taste the same, testers said they like the Aldi brand of soup more. They thought it tasted more natural, and had bigger chunks of white chicken. Progresso had bigger carrots, but there was less chicken and it was kind of rubbery.